This Category contains 152 items. 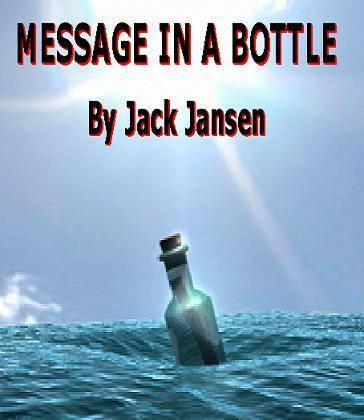 MESSAGE IN A BOTTLE BY JACK JANSEN EXCLUSIVE TO US! A fantastic easy to do trick, with a very entertaining storyline. The magician explains that he was walking along the beach, & suddenly he came across this small bottle sticking out of the sand, it has a message inside all rolled up, & a label on the outside that reads "It's Magic" (must have been the magicians destiny to find this bottle!). The cork is removed & the message is read by a spectator. The message says to allow a spectator to chose a card, so the magician removes a pack of cards, the spectator then MENTALLY selects ANY card (or they can touch one, whilst the magician looks the other way). The message then continues, that the magician must shove a joker into the pack without looking, so he places the pack behind his back to do this. The message then states that the joker will locate the chosen card, so for the first time, the spectator names the mentally selected card, & when the cards are spread it is seen that the joker is next to the freely selected card! The message then continues "The chosen card will be completely blue" not knowing what this means, & being a bit confused, the magician eventually turns the card over & it has a BLUE back, all the other cards are turned over and all the other cards have RED BACKS!!! The last line of the message reads "Isn't that AMAZING!!" Your spectator's will agree that it is an amazing trick, & hugely entertaining as well! Using a bigger bottle, this can be built into a much bigger trick for platform or parlour shows. Comes with the Special Pack - Printed Messages - Bottle - full routine and instructions by Mike Danata. Magician borrows a 20p (or any small coin) (dime or penny) from the audience and asks him to sign on the coin using a sharpie pen. 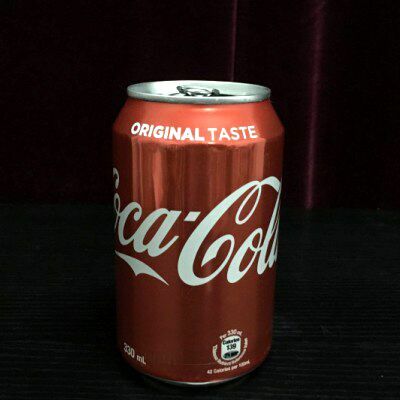 Now the signed coin is placed on the palm and a coke can is introduced. The magician shows his hands empty, nothing is left on his hands. With magicians magical gesture, the signed coin penetrates through the can! the coin magically enters into the can! The magician shows the can,to the audience's surprise there is no opening or hidden slit (except for the opening on the top of the can) it really looks like a normal can! Now the magician takes out the signed coin from the opening on the top of the can, the coin is safely returned to the audience, it's the SAME marked coin! You can also place the signed coin on the spectator's hand, then the coin will penetrate through the can. It is very easy to perform and no special skills are required. EFFECT: A deck of cards lies on the table & by it's side are four aces. The performer asks the spectator to mix up the aces face down, & lay them on the table, (you turn your back during this) Ask the spectator to slide one ace towards himself, then put it in his pocket without looking. 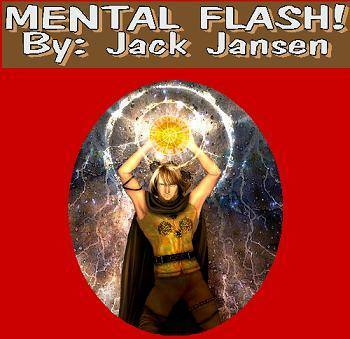 Another volunteer is asked to merely THINK of any value from Ace to King, tell him he will get a "Mental Flash" on just one value, when he gets one he keeps it to himself. Now you remove the deck from the box BEFORE anything has been said. Ask the spectator with the Ace to take it from his pocket, & that will represent a suit, he does so, (lets assume it's a Club). Ask the second spectator to announce for the first time the value he is thinking of (say the value is a nine for instance) = THE NINE OF CLUBS, you then count off eight cards, when the ninth card is turned over it is seen to be the nine of clubs! NO SLEIGHTS WHATSOEVER! also NO RESTRICTED CHOICES THE CARD CAN BE ANY OUT OF 52 - & WILL BE DIFFERENT EVERY TIME! Comes complete with Special pack & Routine/Instructions plus it's EASY TO DO! Tel: 01202 391666 to order yours NOW! (or order from this website, or call in during opening times to the Studio. A Pistachio Nut penetrates a solid bottle, everything can be immediately be examined! Available now! Comes complete with EVERYTHING you need to perform this right away! Gimmicked Nuts, the Bottle, The P.K. Ring, & a DVD with full explanation! Ring can be used for many other tricks as well!! The magician wraps a cork with a bill, and fixes it using a rubber band. 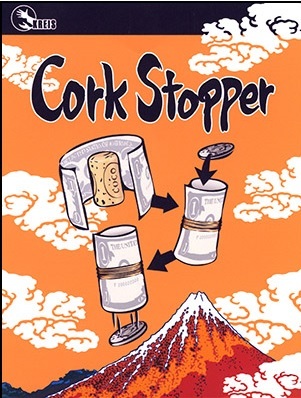 The bill is rolled up like a tube, and the space inside is divided by the cork into the upper space and the lower space. The magician puts four coins into the upper space of the tube. The coins, one by one, are dropped to the table, penetrating the cork. For the last coin, the magician puts it into his pocket, but it appears from the tube. Everything is examinable after the effect! In the U.K. 1P coins can be used. A trick,that might not be appropriate for everyone, but amusing for some!!! Visually transform one card in to another! � Instructions explaining how to perform this truly jaw dropping effect. � Flash glue, along with what flash glue is, and where to buy it from, so no more high prices for an every day item. � Lit match producer, works every time, no fail. Along with details on how to make your own. A blue backed pack of cards are shuffled & seen to be mixed up. "I can cut to any card I wish" says the magician, & sure enough he names his card & immediately cuts to it!! It's shown to be the only card, there are no duplicates.The pack is freely shown. A lighter is passed over the face of the cut to card "To soften the ink!" & that card is rubbed onto the back of the card underneath. When the pack is turned over, it is seen that the blue backed card has now changed to red! (to match the ink on the face card!) Suddenly more & more cards the same as the one cut to appears, & then all the backs change colour as well! then they revert back again, & all the duplicate cards are gone! & the pack is back to normal (at least that's what it looks like!! The magician fishes out the spectator's wedding ring from a purse with a help of a chain. The magician drops the spectator's ring into a purse then dangles the middle of the chain into the purse. After he pulls out the chain (which ends hold between the right hand fingers) from the purse the audience can see the ring pinned on the chain in a mysterious way. The magician gives the chain with the pinned on ring to the spectator allowing him to take off his own ring with his own hand. The chains used for this trick is not magnetized furthermore it is not prepared at all. This trick can be learned quite quickly as it does not require any special sleight of hand. The magician takes a bite out of an 'Oreo' biscuit. He snaps his fingers, and the cookie is restored! First,two packs of cards are shown, a Red Backed Pack & a Blue Backed Pack. A spectator freely chooses a card from the red pack & another spectator freely chooses a card from the blue pack. The cards are removed, shown front & back, & each card is placed face down on the table in front of their respective packs. First of all, the magician claims that he can make the cards change places! spectators are unimpressed as nothing happens "No not the backs, but the FACES" the magician exclaims. A few mystical passes & it is seen that when each card is turned over, they have in fact changed position! The card that came out of the red backed pack is now with the blue & the blue backed card is over with the red! "There can only be two explanations", claims the magician "Either the cards genuinely "Swopped over" with each other, Or it was the backs of the cards that changed". The magician continues, "I'd prefer to believe that the backs actually changed colour, because the rest of the pack has also changed!" The magician then spreads the rest of the first pack, & the backs are seen to be GREEN! & when the other pack is spread, they are seen to be PINK !! The only cards that are Red & Blue are the spectators, FREELY Chosen cards!!!! All the other cards are completely different! This effect is completely Self Working (no Sleights) & is very easy to do! but will completely fool the audience! Comes complete with two very special packs of Bicycle brand cards, & full easy to follow instructions. Very highly recommended! Now comes with DVD Instruction! J B Magic are proud to present the transformer card by Dan Burgess. This is the crazy card that no only turns itself inside out and back to front but also at the same time changes from one card into another! The magician brings out a stack of cards and draws a few symbols, letters,or numbers, in fact anything at all! The magician asks the spectator to sign the card and to remember the symbols, so there can be no mistaking that this was the card they looked at. You now take the card and show it to other spectators and ask them to remember the symbols also. With a snap of your fingers you ask the spectator that signed the card to state the symbols they saw. They name all but one, no matter how hard they try they cannot remember the symbol! This trick can be presented as pseudo hypnotism if you wish, by proclaiming that you can wipe information from your spectators mind!!! Comes complete with marker pen etc. A Special Ring for the "Stones Of Divinity" trick. Yes! we have located the Perfect ring to go with this effect!!! A P.K. ring that has JUST ENOUGH power for the trick! Purchasers of the effect will realise that you can now dispense with the very small gimmick at the start of the routine! just wear this ring all the time (it's a very nice looking BLACK ring) & you needn't worry about losing the small gimmick that comes with the original trick. This ring will also have many other uses, where you don't need the power of a normally very strong ring. Rings are available in EXTRA SMALL - SMALL - MEDIUM - LARGE Both in Flat Band or Domed Style. Two piles of face down cards are seen on the table, one pile is freely chosen by the spectator, (absolutely no force) & these cards are mixed up. The cards from both piles are turned over one at a time, & the faces of each pile are seen to be well mixed. The Spectator firstly selects which pile to work with (NO FORCE!) & the other pile of cards are turned face down. The spectator freely selects a number (again NO FORCE!) & the card at that number is withdrawn from the pile of cards, it is clearly seen that any other number selected would have produced an entirely different card.......... HOWEVER when you count down to the SAME NUMBER CARD in the other pile of cards, it is seen that BOTH CARDS MATCH EACH OTHER! Then the big SURPRISE FINISH, as each of the remaining two piles of cards are turned over, it is seen that all the cards have mysteriosly sorted themselves out, & as each card is turned over from the top of each pile, it is seen that dspite the cards all being mixed at the start, they have miraculously paired up with each other,thus the name "Tarot In HARMONY"
This is a great self working trick, & comes complete with all the necessary Beautiful Tarot cards, plus complete easy to follow instructions! Each "Bend Key" is completely made of special metals without any gimmicks and certainly easy to show. Just hold the key between your fingers or put Bend Key in the spectator�s palm and it will bend by itself. The spectator can check it at once and will not believe what they have just seen! Sent Special Delivery in the U.K.
With this pen all it takes is a tap to ignite flash paper. It's uses are endless. Silent in working. If you can open this purse with one hand, you can do this effect! This is real cool. 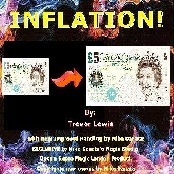 your coin purse when opened will emit a large flash of fire or flames will come rolling out. the decision is yours. you pick flash or fire. 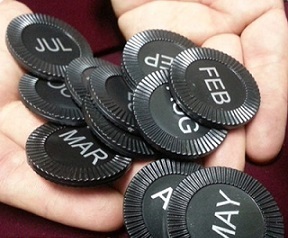 Great for coin routines. purse can be shown all around. nothing to be seen. is done with one hand. purse holds a good quantity of coins. reloads in seconds, great for a table hoppper. also comes with a small bottle to hold lighter fluid. A Fantastic Three card Trick, with a kicker finish! NOW WITH DVD! Can also be used to vanish! Japan's Must Have Item is now available in the U.K. The ingenious effect is simple and straight forward and SHOCKS everyone. Invented by Satoshi Toyoda in Eastern Japan, and manufactured with precision by Mikame Craft. Once you see Mystery Key Holder demonstrated, you'll want it immediately. There have been numerous tricks that a hole is transferred from one place to another place. Mikame has taken the idea to an impossible level ahead! Display a wood rod with a hole in one end. A key chain is hanging through this hole in the end rod. Without warning the hole moves to the center of the rod! The actual hole and chain move to the center of the rod. Now pull the chain up and down - It has actually moves! You decide to move the hole back to the end of the rod. It goes back to the end of the rod! Hand the rod out for examination. Pictures of five bathing beauties are shown. After being mixed, a spectator selects one of them. Surprisingly enough, and despite a very fair selection process, the spectator's dream date turns out to be an old hag! This classic packet trick is easy to do (no sleight of hand), and never fails to get a good reaction. Supplied complete with laminated cards and full instructions. This is an extremely effective way of introducing yourself as a magical performer. Place a blank business card in a clear sleeve, showing it clearly on both sides. Instantly, and right under their nose without any cover or false move, the card is printed into your business card. The card is removed from the sleeve and handed out. The sleeve is shown empty once again. Borrowing two different bills from a spectator, you fold each bill into eighths. Then, simply by touching the two bills together, they visually fuse into one bill. That�s right, the two halves of the bill are made up from the two bills you just borrowed from the spectator. This hybrid bill is handed to the spectator for complete examination. You then proceed to rip the bill in half, ending up with one of the original bills in each hand. These are immediately given back to their owner. In fact, you can�t really call it a bill switch at all. Hybrid feels just like a switch but from the audience�s perspective, you�re not transforming one bill into another... you�re visually melding two of their bills into one unit, simply by touching them together. That�s pretty amazing stuff. Nigel will perform and explain �Fraction�. A borrowed $10 bill (e.g.) is instantly and visually torn in half, into two separate $5 bills. Once examined by the spectator, the fives are fused together, visibly morphing back into the borrowed $10 bill. Nigel�s �RIPT� (flash torn & restored bill) - A borrowed bill is torn into 2 distinctly separate pieces and immediately restored by merely touching the two halves together. A really great comedy item! The Indian Rope Trick, but with your TIE! Great for Magicians & Mc's etc! EASY TO DO! An effect you can perform ANYWHERE & ANYTIME and will amaze your audience! By John Scarne. This wonderful book was written in the mid 1930s when prohibition and illegal gambling affected the big cities. The Three Card Monte was played on the streets and some of the wealthiest people of the day were taken in by the technique of the card sharps. John Scarne teaches it ALL in this book. A double headed 10p (just so you can win all those bets!! The middle of the Nevada desert. Four hundred square miles of nothing. Not even streets. Just 50,000 people attending the world�s largest art festival. It�s Survival Magic and there are no spectators, only participants in the most extreme conditions imaginable. Welcome to Burning Man and Magic at the Edge! Since the dawn of time, magicians have sought inspiration in the most unusual places. Burning Man is one of the most inspiring environments for performance magic in all the world. You�ve seen Jeff McBride featured on A&E's Mindfreak, Star Trek: Deep Space Nine, and VH-1�s Celebracadabra. Now you can see Jeff in action performing his magic at one of the wildest places in the world, the Burning Man Art Festival. But this is far more than just a performance video. It is a teaching video, an exploration that searches for the very heart and soul of magic. Here is an inside look into the lifestyle of one of the world�s great magicians and how and why he seeks inspiration. Magic at the Edge offers magic for all skill levels, with commentary from Eugene Burger and Jeff�s wife, Abbi McBride. They share their philosophies and techniques on performance. They teach you how you can add more meaning to your existing routines and use your magic to teach powerful lessons. Polish the magic you already perform and experience the wisdom of these masters of the art. TRIBAL PIERCING - An impromptu shocker! Push your thumb through your ear�listen to the screams! MAGIC WISHING RAINBOW - Your participant�s wish comes true with a surprise gift! A lesson in eye contact and engagement. MAGIC BUBBLES - Enchanted bubbles become real in your participant�s hand! This effect can silence crying children and might even get you a first-class airline upgrade! WORLD�S FASTEST HANDS - Jeff�s super fast card opener: two participants� cards revealed�really really fast. A close-up illusion that defies explanation. HOUDINI STRAIGHTJACKET - Abbi Spinner McBride�s performance and explanation of the Houdini Straightjacket Challenge, with Eugene Burger giving historical background on this pack-small, play-big illusion. THE MAGNETIC CARDS - A modern version of Nate Leipzig�s astonishing card levitation. A trance-inducing wonder! HEART CONNECTION - Make deep personal connections with two signed playing cards. More than a mere trick�it is real magic from the heart. PRISNA�S DANCING CANE - The evolution and revolution of the dancing cane in pop culture (performance only). SAMINA�S �INTO GOLD� - A lesson in alchemy�from the scintillating sorceress�will teach you to change real lead into gold in the participant�s hand. McMINT - An ultra-modern version of Signed Card to Impossible Location using a breath mint case. This is a mini-illusion and Jeff�s closer in his close-up show. LISTEN TO THE MUSTN�TS - Inspired by Tracey Atterberry and Shel Silverstein, a tale of hope and courage. Blank canvases mysteriously paint themselves with images of your magical potential. HERMETIC STAR GAZER - Alan Wong created one of the great rubber band effects of our time. This is Jeff�s lesson in alchemical geometry with guest participant Stephen Larsen. As above . . . so below! SPELLBOUND - Jeff�s tips and subtleties on this classic coin routine. You�ve seen Jeff McBride featured on A&E�s Mindfreak, Star Trek: Deep Space Nine, and VH-1�s Celebracadabra. Now you can see Jeff in action performing his magic at one of the wildest places in the world, the Burning Man Art Festival. But this is far more than just a performance video. It is a teaching video, an exploration that searches for the very heart and soul of magic. Here is an inside look into the lifestyle of one of the world�s great magicians and how and why he seeks inspiration. Magic at the Edge offers magic for all skill levels, with commentary from Eugene Burger and Jeff�s wife, Abbi McBride. They share their philosophies and techniques on performance. They teach you how you can add more meaning to your existing routines and use your magic to teach powerful lessons. Polish the magic you already perform and experience the wisdom of these masters of the art. Props are examinable before and after. Looks totally impossible to the spectator! Powerful walk-around magic that can be done anywhere at anytime, surrounded, and with a normal deck of cards. An eight is turned face up on top of the deck. In a splitting action, the eight is ripped into two fours of matching color. One of the fours is handed out, as the remaining four is this time split at the fingertips into two two�s. Lastly, as you can imagine, a two is split into two aces. This quick trick is extremely visual � everything is done at the fingertips. We've taken this classic and usually boring effect and given it STYLE. Two cards are selected and lost in the deck. As the four aces are magically produced, the selections mysteriously appear between them. This is as visual as it gets. Here�s a remix of the classic 'Back in Time' effect by Steve Freeman. If you know the Freeman trick, just imagine it with a face-up card and you�ve imagined this trick, seriously. In this effect you'll learn the 'db Spin Change', the most visual change we've created and the EASIEST change you'll ever do! The coolest packet trick you�ll ever perform. The 4 sixes are shown with the added Buck flair. The performer jokes about how if he turns the six around it changes to a nine (pointing to an upside down six from the spectators POV). The next time the performer turns them around, they really do change to 4 nines and the cards can be handed out for examination. The spectator is instructed to push their protruding card flush with the deck... By this time the card is already in your mouth. The misdirection is so perfect that you will find yourself performing this surrounded without anyone having a clue. Our finesse and style differentiates this effect from previous handlings. Any card is selected and sandwiched between the two red aces; these cards are clearly placed on the table. Another card is selected, however, the performer miscalls it as the first selection. This second selection is face up on top of the deck. With a snap, the card visually transforms into the first selection sandwiched between the red aces. The cards on the table are spread to reveal the second selection sandwiched between the black aces. This is a beautiful transposition effect with a clever plot about d�j� vu that will leave you spectators wondering more about what they really just witnessed, or if it happened at all. Here's an instant two-card transposition effect. It can be done anytime and surrounded. One selection is placed face-down into deck center while the other remains face-up on top. Visually and with no sneaky moves the two cards transpose. You end clean! Here�s another take on the visual two-card transposition. Imagine openly placing a selected card out-jogged in the center of the deck, turning the top card face-up and without ever covering either card, they instantly transpose. In addition, you�ll learn an awesome new double lift from the center. This trick rocks on all levels! If you ever need a quick trick to send that "wise guy" back to where he belongs, this is it! It leaves them completely stumped after thinking they had you all along. It�s another quick transposition effect but opens several other possibilities with a new move called 'The V Switch'. The three of clubs is shown at the fingertips in the left hand. You explain how the pips on the card are removable and you pinch the center pip of the three with the fingertips of the right hand. In a quick action, you visually pull off the center pip of the three leaving the ace of clubs in your right hand the two of clubs in your left hand. These cards can be cleanly shown front and back. You can then go on to replace the pip by tossing the ace into the two in which it visually transforms back into the three. This trick is so visual. The cards are always at the fingertips and face up. No duplicate cards or gimmicks required. Here's a completely modernized version of Earl Nelson's 'Submarine Sandwich'. We've given the effect a few of our signature touches and added teleportation to the plot to make what was a good trick a GREAT routine. The latest flourishes from Dan and Dave are explained in full detail, including the much talked about Jackson Five. Everything from ace productions to color changes, double lifts, shuffles, and finger exercises. It's an assortment of neat sleights done Buck style. Four exercises to build hand strenght and coordination. 20 classic playing card flourishes performed & explained by Dan and Dave. "...Yes, I'm high on "The Trilogy". I love good card magic...Dan and Dave Buck have collected some of the best card magic out there..."